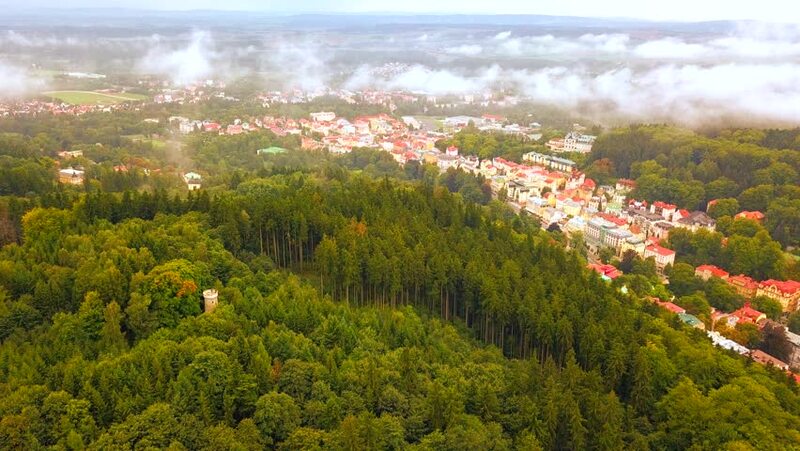 Aerial view of forest park with Hamelika tower in Marianske Lazne spa (Marienbad). Morning atmosphere with low clouds. Famous spa town in the Karlovy Vary Region of the Czech Republic, European union. hd00:27Flight over the village towards mountain. FullHD 1080p. 4k00:20The panorama of the city of Graz in Austria, Europe. hd00:20View of the small German town Monschau.